One of Australia's most respected contemporary authors, Frank Moorhouse and author of "Grand Days" joins us in conversation. One of Australia's most respected contemporary authors, Frank Moorhouse has won national prizes for his fiction, non-fiction, and essays. He is best known for the highly acclaimed Edith trilogy, Grand Days, Dark Palace, and Cold Light, novels. 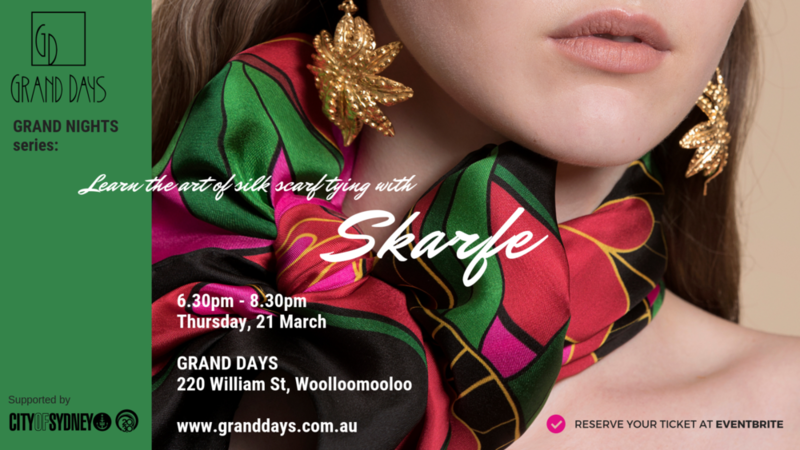 Keep in the loop with what's happening at Grand Days..
Master the art of the scarf with Skarfe, owner and maestro of material, Brad McGlashan. Bringing his collection of wearable art for one 'Grand Night', he will teach us how to swathe silk, tie turbans and give foulards that final flourish. From neckerchiefs and twillies to squares and shawls, no scarf is outside of Brad's tying techniques. So come along and 'tie' one on! Refreshments will be served before and after the presentation. Entry to this event is by pre-booked ticket only and we have limited spots available so be sure to reserve your spot as soon as possible - click the box below to RSVP. 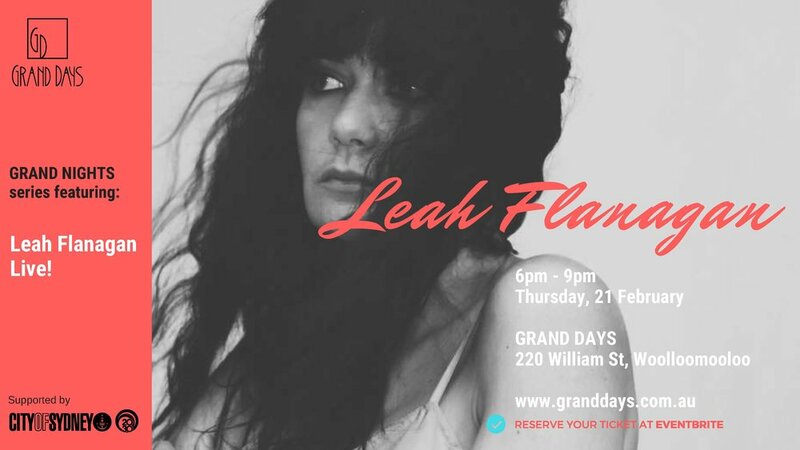 Songwriter, singer and sometimes ukulele whisperer, Leah Flanagan draws deep from a fascinating historical, geographical and cultural mix of Aboriginal, Irish and Italian to draw from. As a result, she possesses a versatility and stylistic range that has seen her work with a long list of diverse musicians and projects. Join us this Thursday evening for a night of live authentic Flamenco song. Join us for a glass of sparkling wine at our Seasonal Sale. 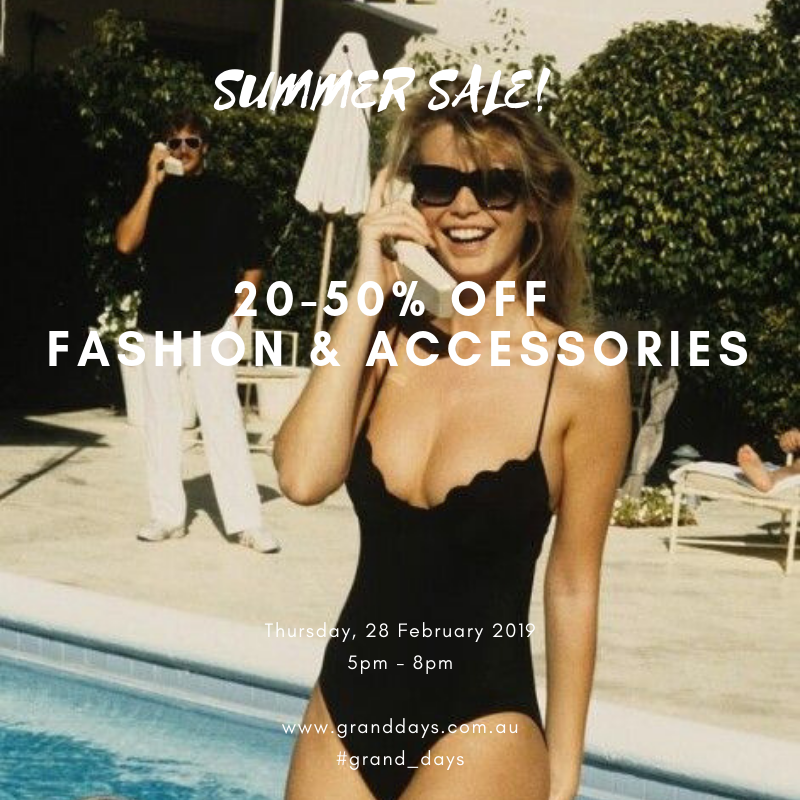 Discover unique and special addition to your wardrobe at Grand Days. Join us for a drink in-store and help us celebrate 4 years of Grand Days!